After all, unlike Neobux, I've figured out Zigma network sites use the add funds promo regularly, so might as well make use of it by cashing out everyting I can and deposit again, as long as I don't have any RR renewals imminent. Congrats on your payments rui! Same thing applies to Scarlet-clicks/GPT Planet. Last month all of these sites had add funds promo, so I good chunk of the $7000 i cashed out from Neobux went into the sites. Everything added up, it was a good +$500 of bonuses. Don't worry. I have no idea how to play it. Congrats on your payment rui! I haven't posted here in a while, but the site has continued to pay me well. And it's really quick to pay, too. Here's a list of payments ever since I switched to Bitcoins. Team join? are you and SS referral/upline? It's a good thing that they pay at such a good speed! Are their RRs any better than YGP? I used to have an account there mainly for advertising and it was constantly getting reset and recovered due to them closing it after a month of inactivity but ever since I stopped using their grid I didn't bother keeping it because it was ending up a pain.. kinda like Silverclix and Neobux.. I've given up on all of these. They should really behave a bit more professionally to their advertisers..
All an advertiser needs is just to have an account to login and advertise and maybe keep his stats in order to compare them (campaign stats are also removed quickly most of the times). But I really can't stand having to open support tickets and beg to recover my account every time I need it, be it every few months. It's so discouraging that I'll pass.. Averages are significantly lower, but on the positive side we get auto-recycling of inactive referrals and earnings per referral click can be $0.012. It's not easy to make a direct comparison between the two since it depends a lot on the combination of membership with number of referrals. 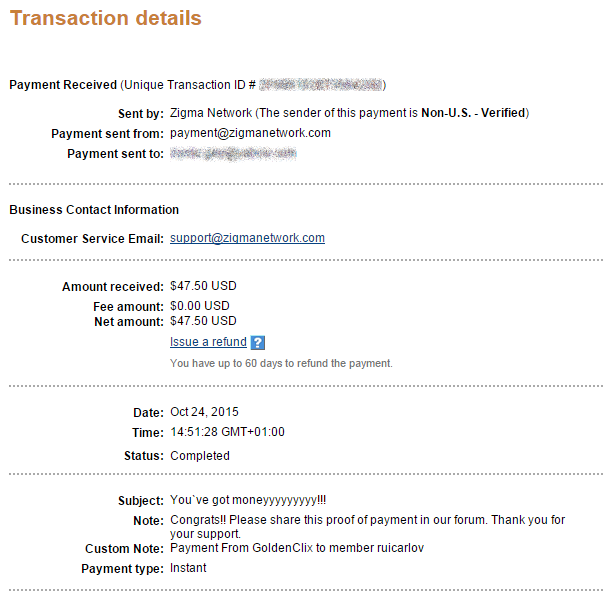 In Goldenclix the highest membership is the way to go. In YGP things aren't as clear cut. Infinity+, IMO, doesn not offer the best reward/cost ratio. And I also have some doubts regarding the averages you get as a Gold or Infinity membership (based of the difference between mine and Snake's refs). In any case, the fact that all you withdraw at Goldenclix goes to your payment processor instead of purchase and advertising balances is a good advantage going forward. 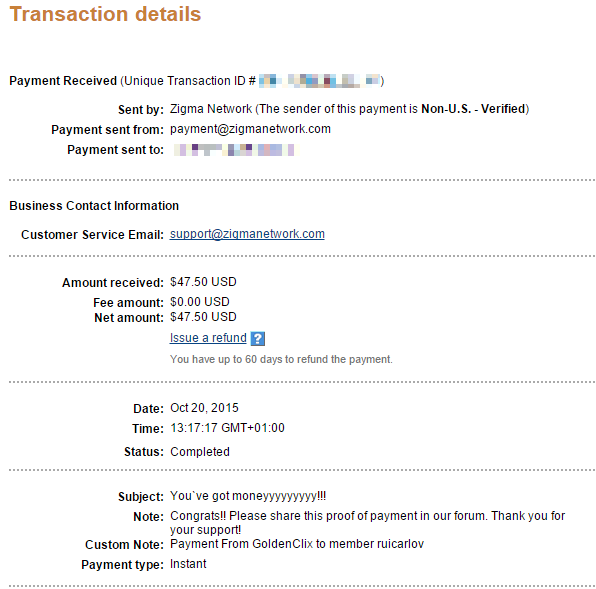 I had two more Paypal payments before the current problems.